Photographed at Bamburi Gardens near Mombasa, Kenya. January 2012. 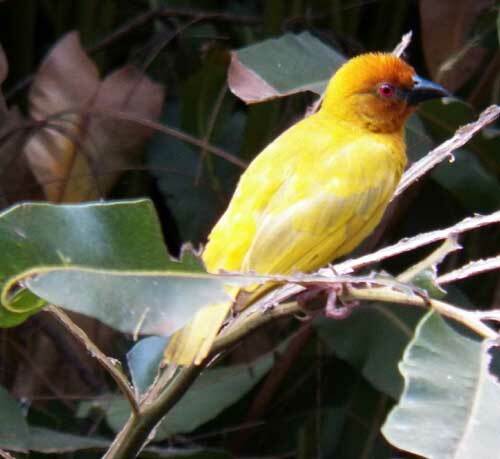 Other common names applied to this bird are Yellow Weaver and Eastern Golden Weaver. 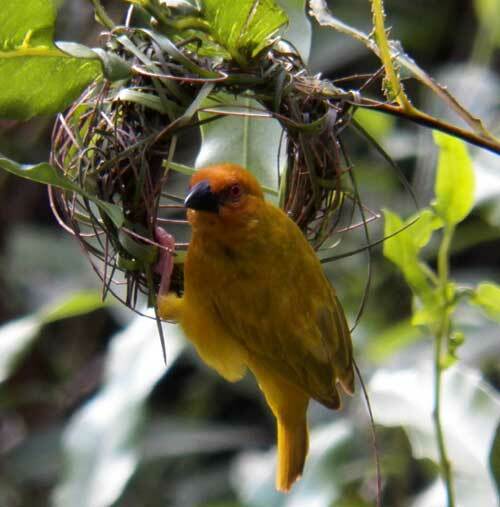 In coastal marshy areas and adjacent to ponds these brilliant birds will frequently be found assembling their nests by intricately weaving strands of grass and/or palm leaf strips into hanging nests. The eyes are deep red in color.